Registration is open. Early bird fees until July 31. Established in 1994, EDCC is a leading European venue for presenting and discussing the latest research, industrial practice and innovations in dependable and secure computing. 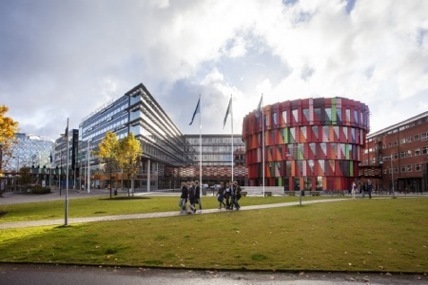 This year’s edition of EDCC is held at the Lindholmen Science Park in Gothenburg, Sweden. Beautifully located near the waterfront of the Göta Älv River, a two-minute boat ride from the city center, Lindholmen Science Park offers a vibrant environment for research and innovation in intelligent transport systems, media and ICT. [September 6] Online proceedings are now available. [September 5] Conference program is updated. [September 2] Conference program is updated. [September 1] Conference program is updated. [August 31] Conference program is updated. [August 30] Conference program is updated. [August 6] Conference program is updated. [July 24] Conference program is updated. [July 20] Conference program is updated. [July 1] Conference program is updated. [June 30] Conference program is available. [June 29] Registration is open.